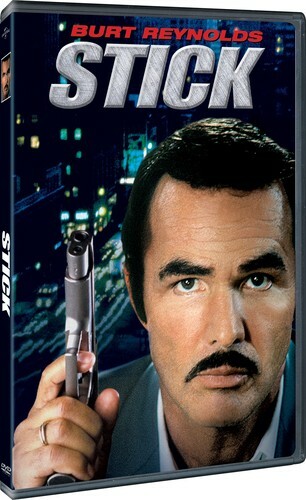 Burt Reynolds stars in and directs Stick, a fast-paced thriller co-starring Candice Bergen, George Segal and Charles Durning. Ernest "Stick" Stickley is an ex-con who's trying to stay clean on the streets of Miami. When his former cellmate is murdered during an illicit payoff, Stick finds himself at the center of a high-class criminal circle whose members include a nervous drug kingpin, a shady film producer, and a stock market whiz with his own gorgeous financial advisor. Elmore Leonard's screenplay, based on his own bestselling novel, blends cons and con artists into a suspenseful tall tale of creative swindling. Stick around - the action's just heating up.